Small, chubby, and full of chocolatey flavor, Tootsie Roll Midgees will take you back to your childhood! Each packet of Midgies contains about 7 Tootsie Rolls; up to you whether you share them or keep them for you! 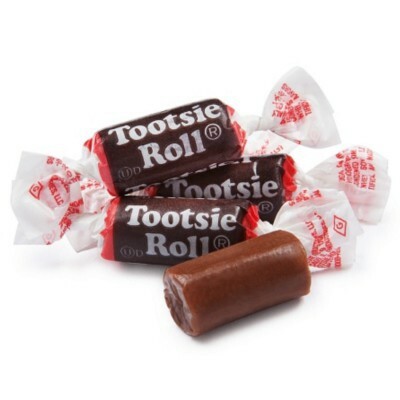 With a soft caramel texture and a sweet chocolate flavor, Tootsie Rolls are an iconic American candy that have not changed since their creation over a century ago! Nutrition facts (for 100g): calories 350Kcal, total fat 15g (saturated fat 12.5g), total carbohydrate 70g (sugar 50g), protein 0g, salt 0.1g. molto buone ma attenzione al lavoro del dentista! El mismo sabor de siempre, me encontré con la sorpresa que era más cantidad de la que me esperaba. Muy contenta con mi pedido.